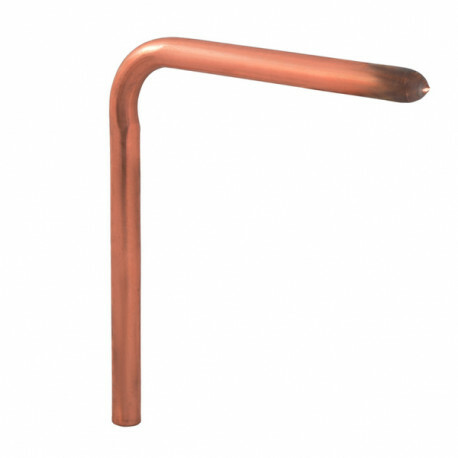 Copper Tub Spout Stub Out Elbow, 1/2" sweat, 7" x 8"
1/2" sweat Tub Spout Stub-Out Elbow, 7" (stub-out portion) x 8" (height). Simplifies installation of bath tub spouts. Lead-free compliant and approved for potable water use nationwide.